Home > Dog Health > Pet Insurance > Is Pet Insurance Worth It? A big misconception about pet insurance is that it’s too expensive. We spend hundreds of dollars on ourselves and our families each month for health insurance, yet we don’t get coverage for our furry “children.” In reality, paying $30/month for pet insurance could end up saving your pet’s life. Instead of being hit with a $6,000 vet bill because your dog needs cancer treatment, you can have a vast majority of it covered through pet insurance. The worst scenario is learning that your dog has cancer but having to turn down treatment because you can’t afford the bills. No one wants to face that decision, and signing up for pet insurance takes care of most of the cost. Pet insurance allows you to make the best choices instead of the least expensive ones when an emergency arises. For this reason, it’s vital to consider buying pet health insurance to protect your canine loved one (and your wallet) from some of life’s most unfortunate incidents. This comprehensive pet insurance guide explains all you need to know to determine what’s most important for you and your pet. We also provide helpful recommendations for the best pet insurance plan to fit your needs. How Do I Pick The Right Company? Pet insurance is the pet equivalent to human health insurance. Having your dog or cat protected by a good health insurance plan can put your mind at ease knowing that large, unexpected medical bills will be covered. There are 3 types of pet insurance coverage: accident, illness and wellness. Depending on your preference, you can sign up for 1, 2 or all 3 of these coverages (but not all pet insurance companies offer wellness plans). You can’t predict an accident, but you can plan ahead for potential incidents that could cost you a fortune. Every pet health insurance company offers accident coverage, which can include torn ligaments, broken bones, bite wounds and other serious health needs. Many pet insurance companies limit their illness coverage as pets age. It’s important to get insurance while your pet is young to reduce pre-existing condition exemptions and your monthly cost. Illness coverage can cover things like cancer, arthritis, UTIs, allergies and more. Wellness coverage is always optional. Depending on your preferences, you can pay for wellness expenses on your own, or you can invest a little every month with an insurance company to avoid paying out of pocket all at once for routine vet visits. Keep in mind; a single routine annual vet exam can cost upwards of $300 depending on your vet, where you live, and the types of procedures, vaccinations and tests your pet requires. Wellness plans are becoming increasingly popular to manage these expenses, which is why more companies are offering them, including as an add-on to pet health insurance plans. Read our article on pet wellness plans to learn how you can cover all your bases. Unlike human health insurance, most pet health insurance plans reimburse you for the cost of veterinary care. After paying the initial price of your pet’s vet visit, you’ll request a duplicate itemized receipt which you then send to your pet’s insurance company along with a completed claim form. You’ll typically receive a reimbursement check within a week to a month. Some companies guarantee a specific payout turnaround time as an added benefit. Your reimbursement amount depends on your insurance policy details and exclusions, the type and cost of each procedure, your policy’s allowance per procedure and your plan’s deductible. Let’s say you faithfully saved $35 a month for 5 years, and your vet bill savings account sits at $2,100 — that’s roughly the equivalent of 5 years of pet health insurance premiums. Unfortunately, your $2,100 in savings won’t stretch beyond initial testing, diagnosis and a few treatments for most pet illnesses. With a pet health insurance plan, that monthly investment of $35 ensures that your finances are safe and your pet has coverage for minor and major accidents and illnesses, such as cancer, unexpected injuries, chronic condition care and, in some cases, even routine visits. So if your cost is $10,000 for emergency treatment, pet insurance would cover you well above the $2,100 you saved. Insurance ensures that you receive a significant portion of what you spend at the vet. Just like human health insurance, vet insurance reimbursements can vary based on a variety of factors, such as coverage levels, each pet’s breed and age, pre-existing conditions, etc. We think there are 3 primary reasons to consider obtaining pet insurance for your furry friend. Choosing whether or not to have emergency surgery is one of the hardest decisions you’ll ever have to make as a pet owner. With pet insurance, you can remove the financial aspect out of your consideration and base your medical decisions purely on what’s best for your pet. It doesn’t matter how well you take care of your pet; accidents happen. Whether it’s a toenail that gets caught in the couch cushion or a torn cruciate ligament from jumping off the bed, your dog could have an accident that leads to massive vet bills. A pet accident or illness can cost thousands in vet bills, but having a good emergency pet insurance plan ensures that you’re able to recoup a vast percentage of the costs. 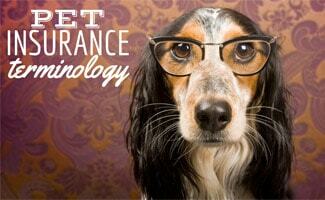 You can tailor pet insurance to fit your budget and needs. If you sign up when your pet is young, you have more options, ranging from major accidents and illness to vaccinations and general checkups. Check out our pet insurance reviews to see all of the available options. 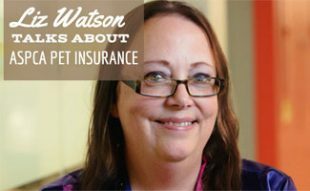 Want to know if pet insurance will cover what you need? The table below helps you see which company will give you the best bang for your buck and protect your dog during the darkest times. InheritedPlus endorsement is only available for enrolled dogs who are two-years-old and younger. Vet costs are on the rise, consider protecting your wallet with pet insurance coverage. Pet insurance prices vary by provider and plan. They’re also unique to your pet’s breed, age, geographical location, pre-existing conditions and other variables. So, how do you know which is the most affordable? Well, you don’t until you run price quotes with a few companies. We’ve made this easy for you by creating a free quote widget (above) that will pull price quotes from our top companies when you fill out one short form with your pet’s details. We suggest you get quotes from at least 3 companies to find the best value (best coverage for the price). Just because the pet insurance company is a household name or has the best price doesn’t mean it’s the best for your pet. Ready to start comparing providers? Visit our pet insurance quotes article to see quote samples from all the pet insurance companies we review. This side-by-side comparison gives you a better idea of what your deductible and reimbursement costs might be for each provider. But, keep in mind that it will vary based on the breed, location, age, etc. of your pet. Below is a table with quotes from our top pet insurance providers for younger dogs: Healthy Paws, Pets Best and Figo. Note: these prices are only examples; actual quotes vary based on your pet’s specific breed, geographic location, age, etc. *Quotes are from January 2019, and all prices are monthly premiums. How Much Does Vet Care Cost? This video visually summarizes some of the vet costs you should expect during your pet’s life. Feel free to watch and share with others who could benefit from learning these facts about pet health and the rising cost of pet ownership. How Do I Choose The Right Dog Insurance? Before you purchase your dog’s insurance plan, be sure to familiarize yourself with what each plan offers. Compare the coverage provided under each plan with individual health concerns for your dog and its breed. Even if you have a healthy puppy today, knowing what illnesses are prevalent in your dog’s breed will help you select the right plan for your dog. Talk with your vet about what you should plan for as your pet ages. For example, some breeds are more susceptible to hip and joint problems and cancer. While no one wants to anticipate the worst, it’s the best plan of action when shopping for an insurance policy for your dog. Choose the best plan based on the right cost AND coverage benefits, not price alone. Narrow down your choices from our pros and cons lists in our review of the top 3 providers. Contact at least 3 companies and obtain quotes based on information you provide about your pet’s breed, age, health, conditions and needs. (Use our quote form to get pricing from our top picks.) If you have more than one pet, ask about a multi-pet discount. Have your vet send in each of your pet’s records to the company that you’re considering. A company that is genuinely interested in your business will review your pet’s records and clearly outline any excluded conditions from your pet’s insurance plan (such as pre-existing conditions). It’s important to understand the coverage details before you buy any insurance plan. Weigh the cost of monthly premiums against the types of coverage offered: accident, illness and wellness, as well as any add-ons. Review plan deductibles and payout percentages that may impact your real out-of-pocket costs. The sooner you sign your pet up for health insurance, the lower the premiums. So, consider purchasing a plan for your puppy before they get too much older and possibly develop pre-existing conditions. Note: No pet insurance company covers pre-existing conditions, but different companies may have different criteria and waiting periods for what they consider a pre-existing condition. If you’re not sure, ask. It’s better to know upfront. 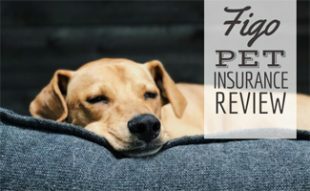 What Are The Top Pet Insurance Companies In 2019? We continually update our best pet insurance comparison so be sure to check in regularly for new information. We maintain a constant watch on this sector and audit our reviews of companies on a regular (quarterly and annual) basis. Our reviews are conducted in an unbiased fashion by independent researchers who do rigorous analysis and gather consumer feedback from across the internet. Check out our review process for details. If you’re looking for cat insurance, you’re in luck. Our ratings for cat insurance are the same as dog insurance. Cat insurance works the same way as dog insurance and is excellent protection against massive vet bills. Our reviews above can help you decide the best company to cover your feline, and we encourage you to get a personalized quote from top companies to help you get specific about your cat. The nice thing about cat insurance is that you can typically cover your cat for around $20 (or less) per month. Investing $20 per month toward cat insurance will ensure that your cat has protection in the event of an emergency and you won’t have to think twice about whether you can afford the bill or not. Looking for other pets? We cover those topics in our articles on insurance for exotic pets and horse insurance. What Criteria Do I Need To Consider? These are the most important factors to consider when choosing an insurance company. They’re also the criteria we use to evaluate the companies included in our reviews. How stable is the company? Can I trust them to pay when an emergency happens? A.M. Best has reported on the financial stability of the insurance industry for over 100 years with the goal of giving consumers insight into the financial strength and durability of insurers. They report on more than 3,500 insurance companies in over 90 countries. An insurance company’s A.M. Best rating is similar to an individual credit score, except with a letter grade instead of a number. Ratings range from A++ (superior) to D (poor). What does the public think of the company, and are there any complaints to the Better Business Bureau about how the company operates? If so, how is the company handling these complaints? Most pet insurance companies tend to score high with the BBB — a very promising sign for us as consumers. Are claims easy to submit? Does the company pay claims promptly and cover all claims as outlined in the policy? Are claims repaid quickly? It’s important to thoroughly read every insurance contract before signing to ensure it covers everything you’re expecting. Make sure you understand coverage specifics and especially what’s not covered (review the exclusions before you sign on the dotted line). This way there are no surprises when an urgent situation presents itself. Look for current customer feedback. How do customers feel about the way companies treat them when problems or questions arise. Are they able to reach someone quickly who can help? Are there lots of different communication methods available to contact a customer service representative? Is that person friendly and helpful? If your pet is accident prone or not the healthiest, you’ll want to make sure you find a policy that pays claims with an annual deductible vs. a per incident deductible. This means that if you have three separate accidents in one year, all claims will be applied to one annual deductible. After that’s met, the company will then pay in full for all covered portions of the vet bill. In contrast, per incident policies restart the $ count on the deductible for every new emergency. How expensive is the policy on a monthly, annual, and/or lifetime basis? How does this monthly cost compare to that of other companies with comparable coverage? How much do annual premiums increase over the life of the pet? What do I expect to get back in the case of emergency treatment (reimbursement % amount), and how much am I willing to pay out-of-pocket before insurance comes into play (aka deductible)? Below are some pet insurance trends that fascinate us, and we think they may surprise you too. 50% of pet insurance policyholders file a claim each year. 35% of pet insurance claims are for chronic conditions (ongoing issues with recurring vet bills). 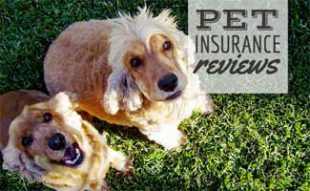 Some of our readers who have pet insurance for their pups share real reimbursement stories with us. Check them out to get an idea of what’s covered (and what’s not) given specific conditions and circumstances. We know that insurance can be a confusing topic. Here’s a breakdown of any terms you might come across, so you have a better understanding of the lingo. Chemotherapy and Radiation Treatment Allowance: The schedule of benefits will also list the maximum reimbursement limit for chemotherapy and radiation treatment as they apply to specific conditions. These two amounts are generally split into two allowances, with the allowance for radiation being much higher than that for chemotherapy. Code: The word “code” is listed on your schedule of benefits with most pet insurance companies. Underneath this term, you’ll see a number listed. This is the “code” the company uses to identify the diagnosis given to your pet. Co-Payment: The co-pay is the amount of out-of-pocket expense you must cover per incident after your deductible. The co-payment is usually listed as a percentage. For example, 80/20 means that the insurance company will cover 80% of the remaining balance after you pay your deductible and you must pay the remaining 20%. Deductible: The deductible is the amount of money you must pay out-of-pocket before you’re eligible to receive reimbursement from your pet’s insurance plan. For most companies, this deductible must be paid per incident rather than per year. Be sure to understand your agreement, as the annual vs per incident deductible is a big deal. Endorsements: Depending upon the insurance company you choose, you may have the opportunity to purchase an “endorsement.” Usually, this comes in the form of a cancer endorsement. This is like an add-on to your purchased insurance plan and extends the amount of coverage your pet receives for the specific illness listed – in this case, cancer. Exclusions: Exclusions are items that are not covered by your policy. This can include pre-existing conditions, certain musculoskeletal disorders, congenital disorders, hereditary disorders, intentional injuries caused by you or your family, and elective or cosmetic procedures. Again, be sure to request a quote and review all exclusions in detail before signing up. General Anesthesia Allowance: On the schedule of benefits, companies also outline the maximum limit for general anesthesia costs as they apply to specific conditions. Incidents: The term incident refers to the condition that’s causing you to visit the veterinarian. Chronic conditions, such as skin allergies, are considered single incidents even if you make multiple vet visits for that condition. Pre-Existing Conditions: Every major company in this category excludes pre-existing conditions from their coverage. This means that any ongoing condition your dog or cat was diagnosed with before being covered by their policy will not be covered in future claims. For example, if your dog has already been diagnosed with hip dysplasia, any costs associated with this condition will not be covered by most insurance. Prescription Medication Coverage: Prescription drugs are often covered by pet insurance, but some may only offer it as an additional (optional) coverage for an extra fee. Read the policy you’re considering before you sign up to make sure it covers what you need. RX medications for preexisting conditions may be excluded, so be sure to ask about your pet’s specific needs, especially for chronic conditions. Primary Diagnosis or Condition: This term appears on your schedule of benefits and refers to the financial limit that the company places on a primary diagnosis or condition, which includes injections, hospitalization, exams, surgery and treatment. Primary Diagnostic Testing Maximums: This term also appears on your schedule of benefits and refers to the cost limit the company places on primary diagnostic testing. This allowance is generally made per bodily system. In many cases, this benefit limit does not extend to specialized diagnostic tests. Schedule of Benefits: The schedule of benefits is a document that the company provides to you when you sign up for your policy. This document outlines covered conditions under your plan and the monetary allowance for each diagnosis. Secondary Diagnosis or Condition: If your pet receives treatment for a second condition that occurs as a result of the primary diagnosis, then it will be covered under the benefits listed as a secondary diagnosis or condition. This secondary condition will receive financial reimbursement in addition to the primary diagnosis or condition. It’s easy to become confused with all the insurance lingo, pricing plans, coverage, etc. That’s why we’re here to help. We are pet insurance experts, so feel free to ask any questions below. If you’re ready, head on over to our best pet insurance comparison to see the current rankings of our top recommendations. Do you have enough information to choose the best pet insurance plan for you? It’s interesting that you classify a torn ligament under accidental coverage (that’s the way most of us would classify it) however in the past 10 years I’ve had 3 separate torn ligament claims DENIED (different dogs and insurance companies). Pet insurance plans somehow classify these to be pre-existing medical conditions no matter what the circumstances are. Even though your pet has a clean bill of health when you sign up for the plan and they are happy to take your premiums they will find a way to deny your claims. My 13 year old Bichon Frise died 3 months ago after his 2 year fight with lymphoma. I had him on a Wellness plan to help me keep track of when routine treatments were due and to budget the cost out of my income, it was the best investment I ever made. He lasted 1 1/2 years longer than predicted because a close friend is a vet (not our vet) recommended a medication that extended his life in comfort until the obvious end. Still broken hearted. I have as of yesterday adopted a rescue dog who has had all the necessary shots, spay, chip etc. I want a plan for her that includes wellness coverage but also accident coverage. I have reviewed charts, articles, etc. to choose which is financially feasible for me but am very confused at this point. Any input would be helpful. I am on a low budget but my dog comes before anything else. I’m not sure what to do as far as choosing the right plan. Any help would be appreciated. Hi Karyl, I’d be happy to help. My first pick for you would be Pets Best because it is in our top three and has optional wellness coverage. 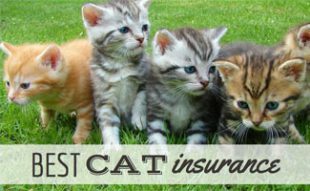 Pets Best is our #2 pick for best pet insurance. Meanwhile, our #1 pick Healthy Paws does not offer wellness coverage. If you follow this link you can get a quote for Pets Best as well as Healthy Paws and Petplan (our #3 pick). You can also learn more about Pets Best in our individual review. Let me know if you have any follow up questions that I can help you with! It really helped when you said that we should contact at least three companies first since it can help us decide which one has the best policy and rates. I will keep this in mind since I will be adopting cats from a shelter next year. I just decided to get the insurance policies because I earn just enough each month, so I will not be surprised with the bills that I might get once they get sick. While I agree with the sentiment expressed here, a distinct lack of real-world calculations were done. You can’t brag about the coverage offered as if it were 100%, when it can be from 60% – 90%. You also can’t brag about this mystical $35 a month fee without showing the rest of the fees/coverage details. An example; with every discount offered, my small mixed breed dog would cost around $900 a year under PetPlan with a $300 deductible, 90% coverage. By the time he is 15, it would be around $3000 a year. Hence my comment that reality was lacking in this post – pet insurance can be impressively expensive as they age, and by the time you’re done reducing the coverage (to keep it affordable) you might actually be better off without it. It’s great to suggest pet insurance, but you’re only providing part of the story – and a cherry picked part of it no less. I agree. I’ve been pricing insurance plans for a new puppy, and I just can’t see the justification much like several consumer groups have echoed. Over the 13 average life span of our previous dogs (same breed as new puppy), I would have to have at least $10k in medical bills just to break even when you consider the monthly premium, $250 annual deductible, and 80% copay. The $250 deductible is more cost effective than the $500 or $100 if you do the math, as is the 80% copay rate over other percentages. Now, since a plurality of people only focus on monthly payments like everything else, which is what pet insurance companies like to focus on (I wonder why), too, most folks won’t do the math nor will they put money aside, so perception of pet insurance being inexpensive is just that, perception. I won’t delve into the false equivalence of pet insurance being the same as human medical insurance. Hint, there’s no equivalence. You can be a responsible pet owner and not pay for pet insurance, so that argument is also spurious. I appreciate that you mentioned pet insurance is so important because you can make decisions about your pet’s health without worrying about the cost. We want to make sure that we take care of our husky puppy as well as possible. I think that this is definitely something that we’d be interested in investing in so that we won’t have to worry so much about her. Under what category would you place accidental injestion of foreign objects? My guess would be under accidents, but each company could categorize it differently. Has your pet ingested a foreign object? Wow these are super informative! I had no idea Cockers were the most unhealthy, I have a spaniel and she seems to be a little overweight but she’s a sweetie and I want to make sure she stays healthy so will look into getting her some insurance. If I get pet insurance will it cover my dog’s acupuncture treatments for her arthritis? Some companies do cover alternative/holistic therapies, including acupuncture, but not all. Be sure to read the fine print and consider calling them to make sure before you sign on the dotted line. You can see a chart of who is most likely to cover your needs here. You cannot bet no disease would take a toll on you since you are very cautious on health. Similarly, you cannot say that your pet dogs and cats would dominate diseases as you are giving them proper health care. Therefore, the pet owners should spend in buying insurance to save dollars. Before that you should understand the policy carefully. You should make sure that the insurance would reimburse the cost of the treatment of such diseases that are most prevalent in your vicinity. You have to also check out the standard of the vet clinics, which are partnered with the insurers. In your article, you say: “There are plenty of plans that cover most pets regardless of age or pre-existing conditions.” Can you tell me the names of pet insurance plans that cover pre-existing conditions (for cats)? Hi Rita, sorry for the confusion. What we mean is that pet insurance companies will cover you pet even though they have pre-existing conditions, however, these conditions will not be covered. None of the pet insurance companies we review cover pre-existing conditions. What does HM stand for? Honorable Mention, sorry for any confusion! Hi! I’m about to be a first-time puppy owner and am researching policies. I see that some of them exclude Behavioral Health. Could you please give me a few examples of what that might be? Thanks! Hi Rebecca, congrats on becoming a pet parent! Examples of behaviors that may be covered in behavioral therapies include aggression and anxiety. The idea behind behavioral therapy is that the dog has an unhealthy behavior and it can be changed through behavioral therapy. 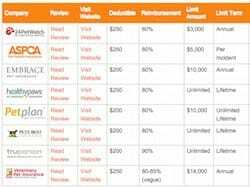 Take a look at our pet insurance coverage comparison table to see which companies cover which items. Let me know if you have any other questions! I love the number two statistic! Our pup Lassie is definitely a member of the family, we treat her with the same respect we do our own children. Are dogs the most popular pets in the U.S.? The most popular pet in the U.S. is generally between cats and dogs. I think the 20% copay on emergency services from PetPlan has been done away with? Oops you are correct Kathleen. Thanks for pointing that out to us! Pet insurance should be required if you have a pet (just like it is for humans!) Wellness and healthcare for your pup is part of being a responsible dog owner and I am shocked only 1% of dog owners have it! Pet insurance is truly an important factor to be considered by every pet owner. The wellness and illness of your pet needs to be understood while choosing a right plan. The animal wellness centres terms and conditions for a particular insurance plan must be reviewed as well. Great advice given in this article. Thanks for sharing it. It might help to put exam fees on that list too. I think for some people they would like to know they have to pay a office visit/exam fee because insurance won’t cover that. I know some insurance companies cover it and some don’t. Thanks for the suggestion Sarah. We will look into adding that in the future! I see you added that row Kimberly. Thank you! Now a days, pet insurance is very important if you do not wish to pay huge money. A good pet insurance will provide you freedom from unwanted pet expenses. Pets are always the part of our life. To care of them becomes important to us when it comes to their life. So we need to be careful while we are taking care of them. As humans need to be insured our pets also needs to be insured. We need to insured our pet as it covers many pet diseases. Firstly having pet insurance will definitely save our money as well as our pet. The above information is extremely helpful for new pet owners. When my last dog got sick, by the time I found out what was really wrong with him, it was too late to begin treatment. The bills from just finding out the problem were over $1,000 and the doctor said that had we caught it earlier, the medical bills for treatment would have been well over $2,000. This would have been a considerable financial burden. This was a huge wake up call and when I brought my next dog home, the first thing I did was order pet insurance. Now I can rest assured that if my dog gets sick, we won't even have to worry about the bills. So yes, in my eyes pet insurance is more than worth it.